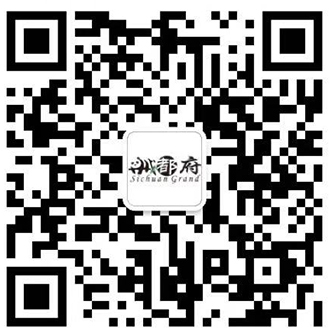 reputation with Shandong, Guangdong (Canton) and Huaiyang cuisines. picking, salting, drying and smoking. 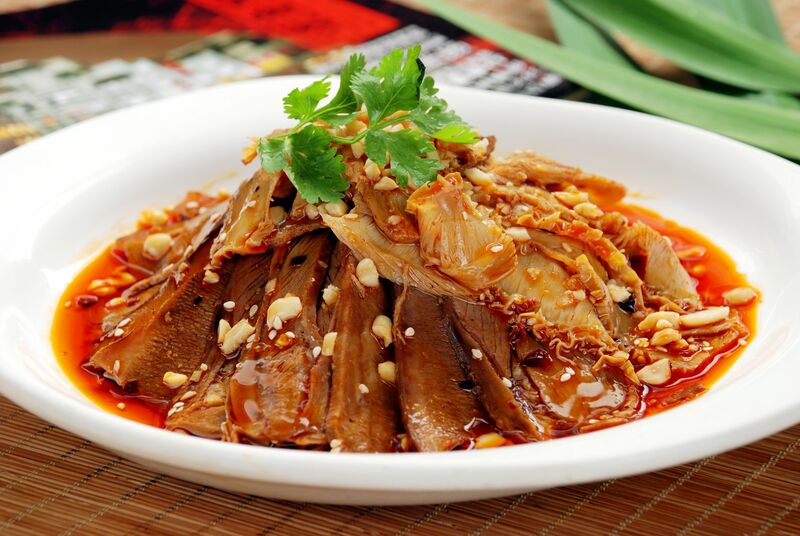 commonly rendered on English language menus as ox tongue and tripe—has a romantic backstory. 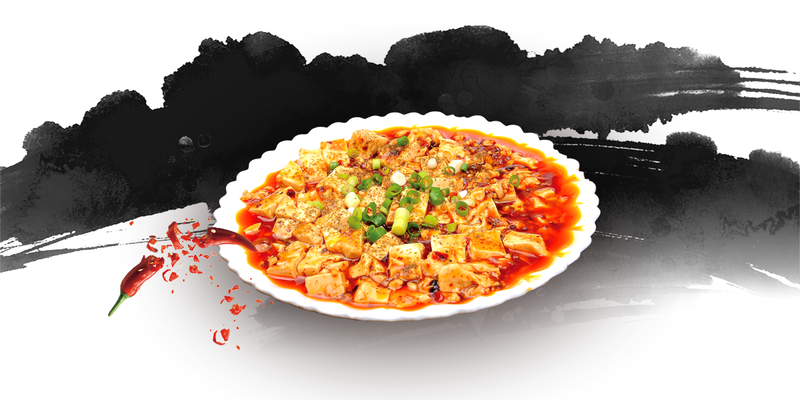 The dish is a mountain of cold, frilly-edged ribbons of beef tripe and tongue, often bolstered with translucent sheets of tendon and washed in spiced broth, chili oil, and Sichuan peppercorns, then topped with roasted peanuts, cilantro, and in some cases, fragrant Chinese celery. 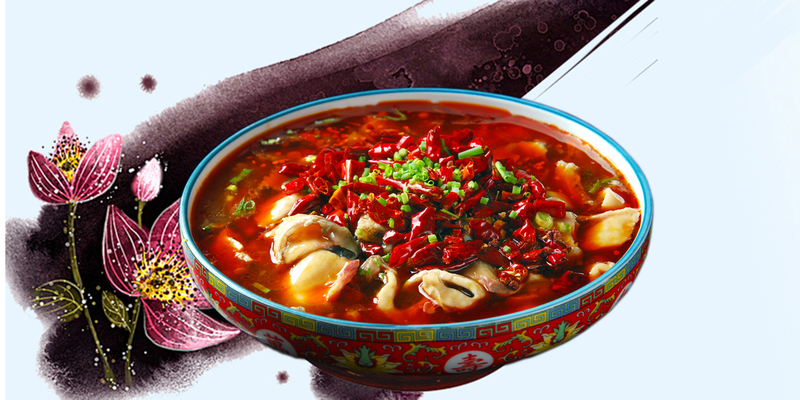 The husband and wife who purportedly invented the offal extravaganza were said to have such a harmonious union that the dish's name, fu qi fei pian, translates to "man and wife lung slices." 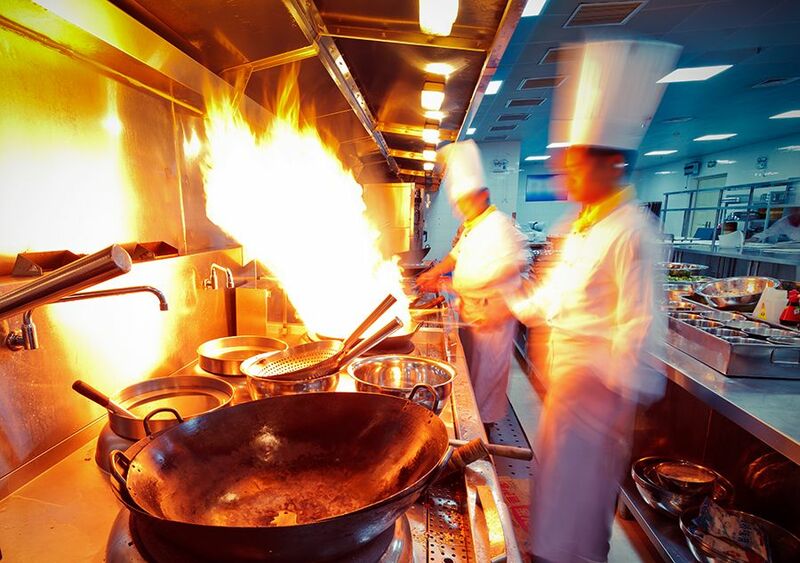 Many classic regional Chinese dishes have made their way into the so-called American Chinese restaurant canon. 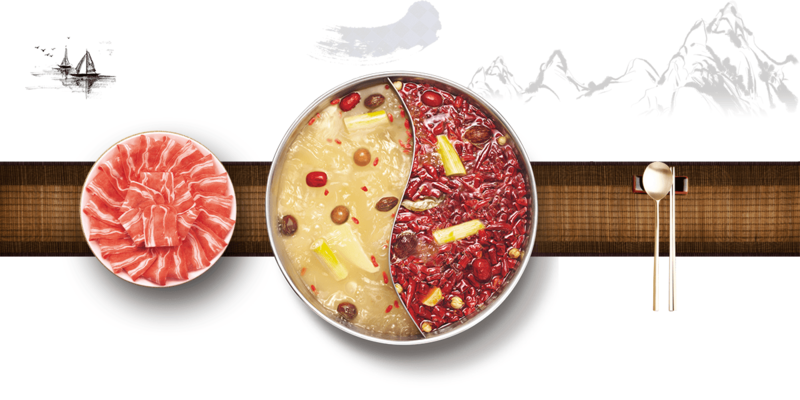 Such is the case with gong bao ji ding, more commonly known as kung pao chicken. The dish was a favorite repast of Ding Baozhen, a late Qing Dynasty governor of Sichuan, whose official title was gong bao. Its origins are lost in the steamy, languid air of Sichuan, but theories abound. 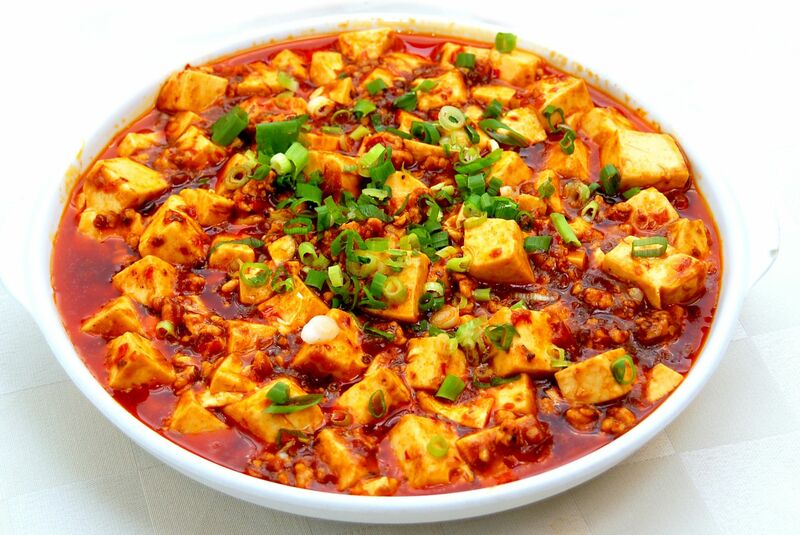 One posits that Ding Baozhen brought it with him from his home province of Guizhou; another that he ate it in a modest restaurant when he went out in humble dress to observe the real lives of his subjects; and yet another had his chef inventing the finely chopped chicken dish because the governor had bad teeth. 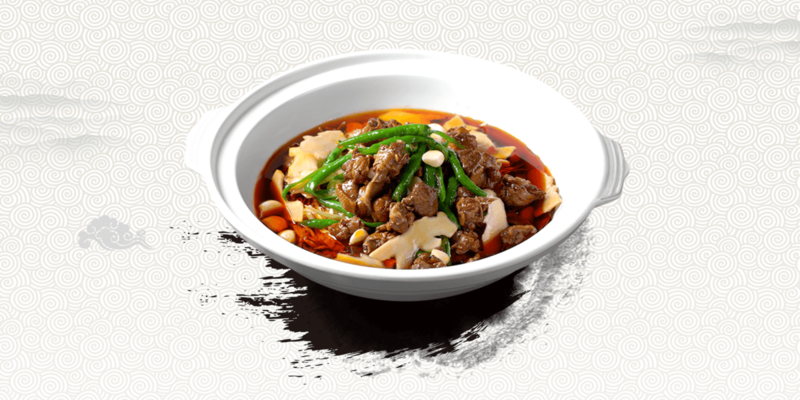 This dish’s Chinese name literally means “back-in-the-pot meat.” The name comes from the fact that the fatty pork-either skin on belly or leg-is first boiled, then fried in a wok, with plenty of dou ban jiang, black beans, and leeks until it is sizzlingly delicious. 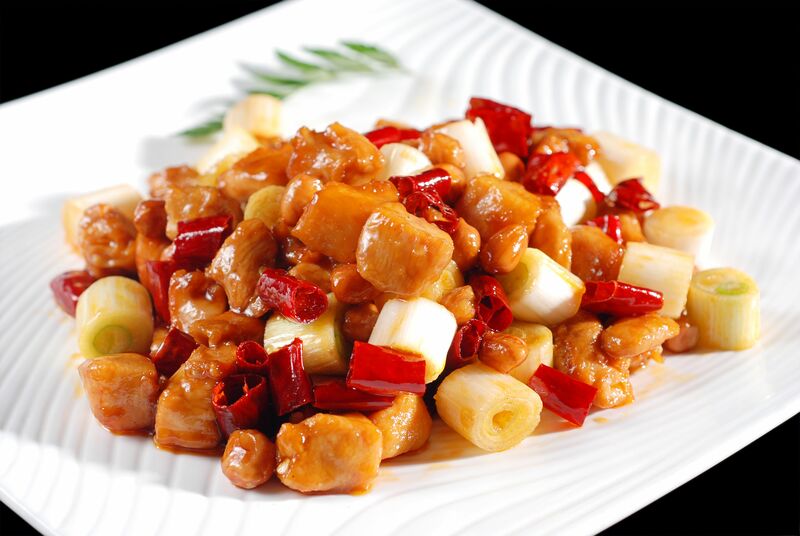 The thin ribbon of fatty pork are among the most beloved of Sichuan dishes. 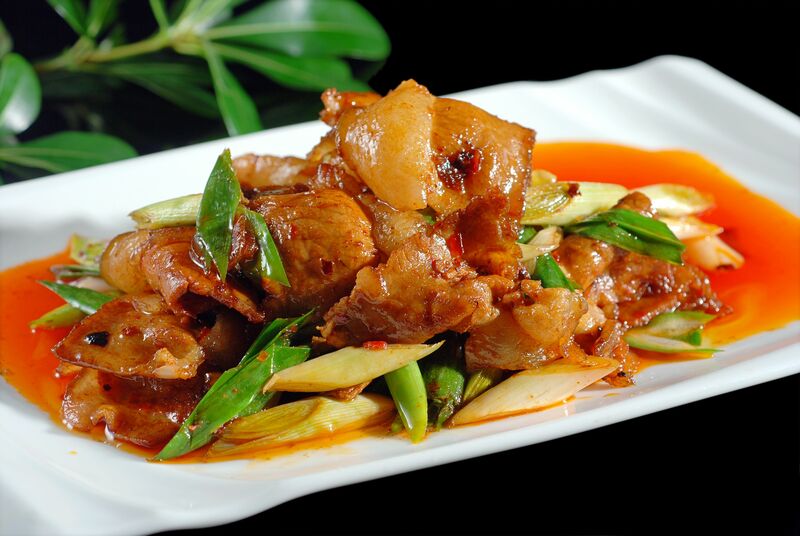 The odd pairing of intensely flavored, fragrant pork and fresh green vegetables is a source of great nostalgia for Sichuanese people living abroad. This dish of wobbly cubes of silken tofu awash in a fiery ma la sauce, heightened by the addition of salty sweet black beans and ground beef, takes its name from its alleged inventor, a pock-marked granny whose name has been lost to history according to Mrs. Chiang’s Szechwan Cookbook:” Eugene Wu, the Librarian ofr the Harvard Yenching Library,grew up in Chengdu and claims that as a schoolboy he used to eat Pork-Marked Ma’s Bean Curd, or mapo doufu, at a restaurant run by the original Pork-Marked Ma herself.